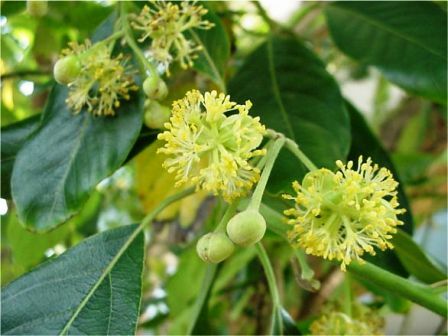 Indian laurel is believed to be a native of India. It is found growing throughout the hotter parts of India. Besides India, it also grows in Southern China, Malaysia, Australia and the Western Pacific islands and also in South Africa. It grows at an altitude of 500-1900 m above sea level, in forest margins, stream sides, sparse forests or thickets. 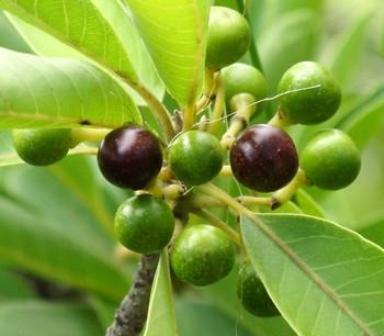 Indian laurel is a multipurpose tree also bearing edible fruits which are eaten by local people. An evergreen or deciduous tree up to 20 m tall; bark smooth, young branchlets yellow, tomentose and slightly rough in old trees. Leaves alternate, simple; petiolate, gray-yellow tomentose; leaf blade elliptic, elliptic-lanceolate, oblong or lanceolate, apex obtuse to acuminate or rounded, surface glabrous or pubescent, base obtuse or acute: venation unicostate reticulate. Inflorescence umbels solitary or several on short branchlets, few flowered; flowers white or yellowish in colour. Peduncles pubescent or glabrescent, axillary or from the axils of caduceus bracts on the new shoots below the leaves; pedicels very short; bracts concave orbicular. Perianth-tube minute in flower, thickened and disc-like in continuation with pedicel. Stamens 9-20 with long villous filaments; glands fleshy on villous stalks. Fruit a drupe, purplish black, globose, about 8 mm wide; pedicel, slightly thickened at apex. Indian laurel fruits have a creamy sweet taste and are eaten by local people. 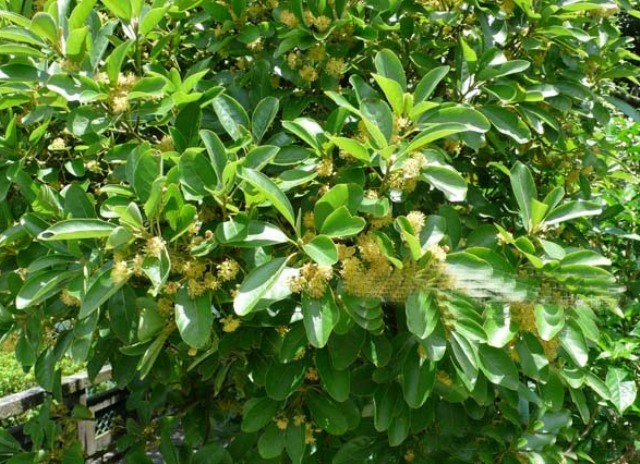 Indian laurel is a very multipurpose tree. In India it is more popular as fodder tree. Various parts of tree are used in medicine. An oil, with useful medicinal properties, is extracted from seed. Wood is used for fuel. 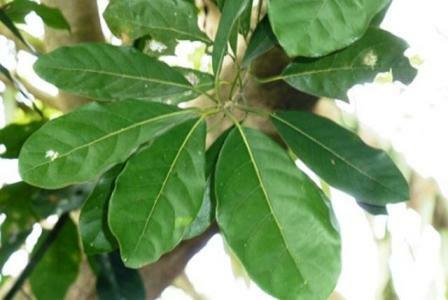 Indian laurel, though a bearer of edible fruits, is planted as an agro forestry tree. New plants are usually raised from seed. This tree, however, also produces root suckers which can also be used for multiplication.